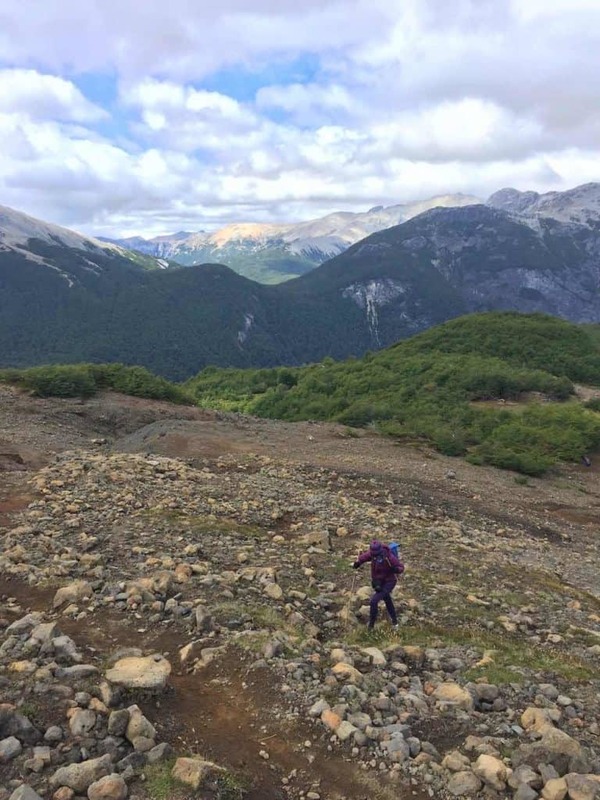 This epic jaunt from Pampa Linda to Refugio Otto Meiling is one of Bariloche’s “must-do” hikes. 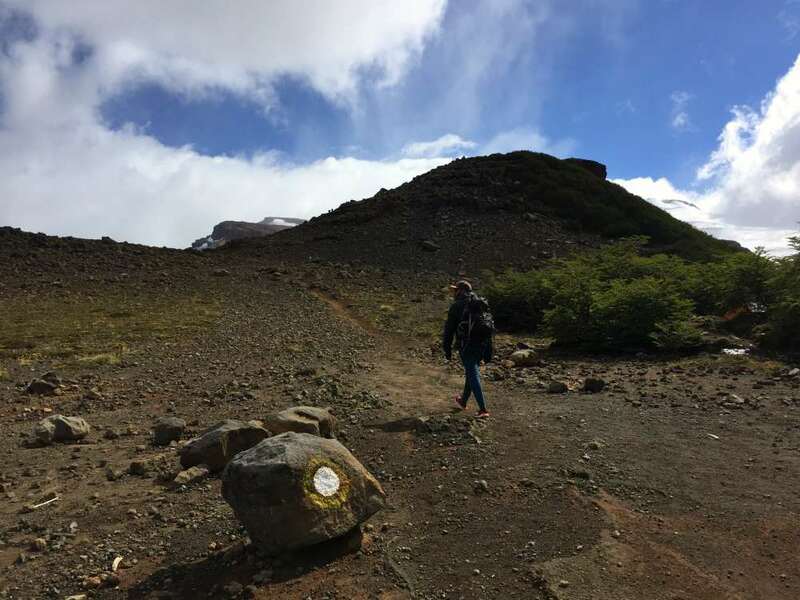 It’s a challenging walk over constantly changing terrain that lands you right at the foot of the peak of mighty Mount Tronador. But the crowning glory of the trek is the two glaciers that sit either side of this remote mountain-top sanctuary. 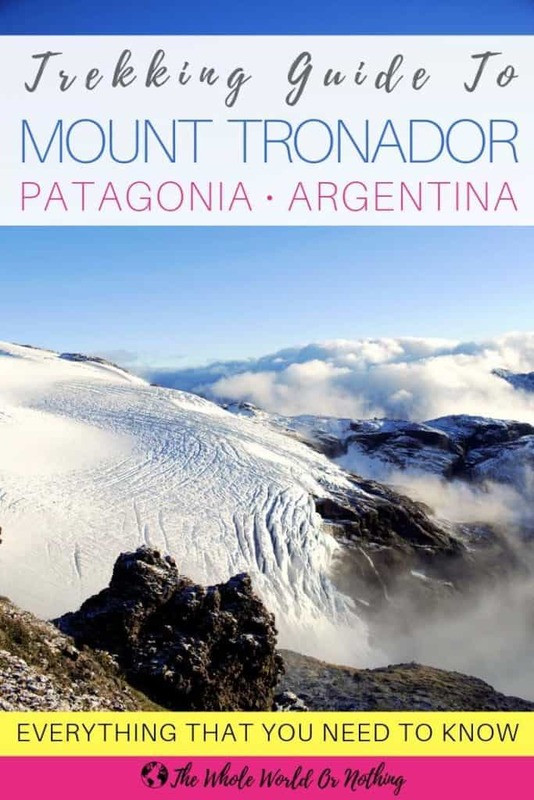 Looking up at Tronador from the start of the trail is a bit overwhelming. It seems impossible to even contemplate scaling the colossal rock that confronts you. But fortunately it’s easier than it appears. In fact it’s quite feasible that you could make it up and down all in a single day. However, the transport times don’t allow for it. And even if they did it would be a real shame not to spend as much time up there as possible. The views are irresistable, with the Andes mountain range stretching out as far as the eye can see. You want to stand there and drink them in until your legs collapse underneath you. 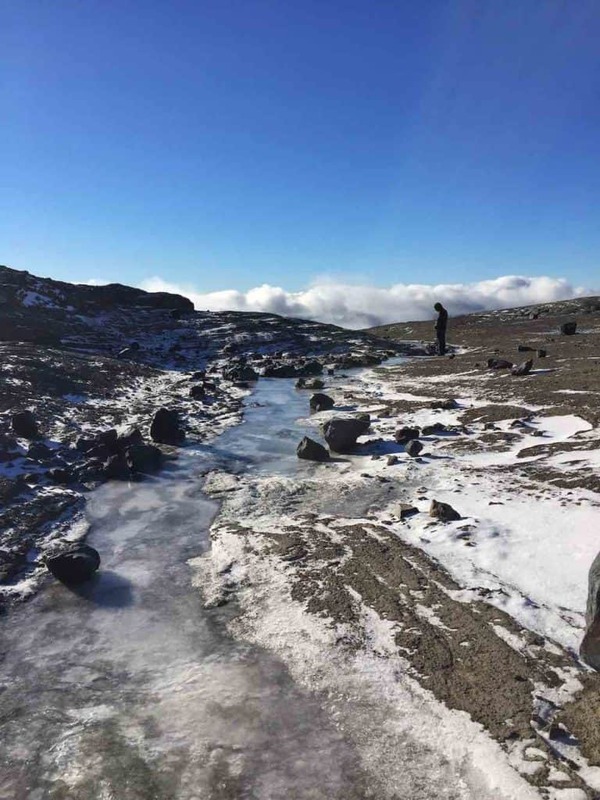 And being in such close proximity to these ancient ice fields gives you otherworldly feels. 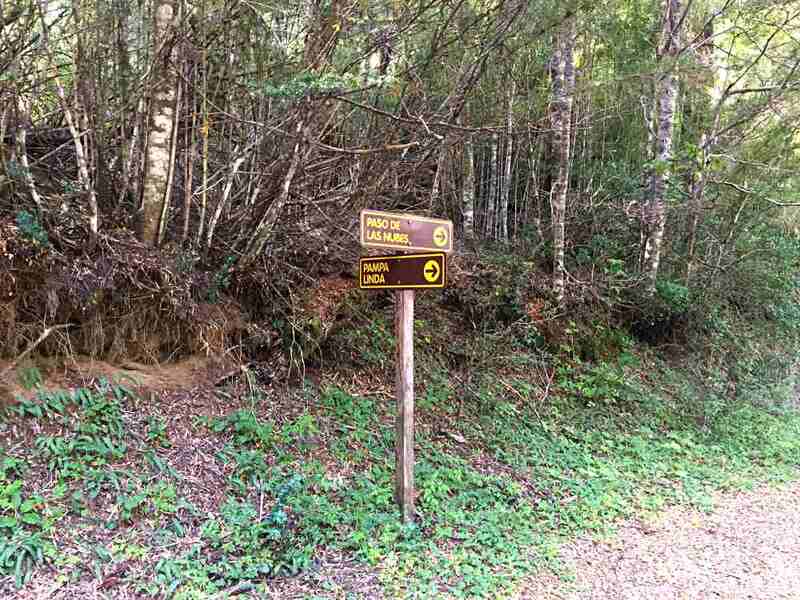 Here’s a full guide to trekking Refugio Otto Meiling. Unfortunately there’s no way of getting to Pampa Linda by public transport. 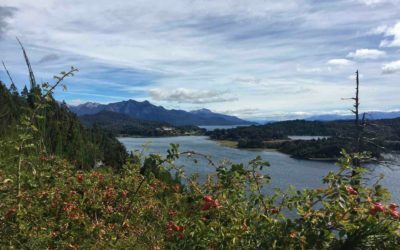 So your best option is to take one of the dedicated shuttle buses from Bariloche. There are a couple of services that run the route with exactly the same times and costs. Tickets can be bought from either the Transitando lo Natural Excursiones office or the Refugio Otto Meiling office which are on 20 de Febrero. We bought ours from the Transitando lo Natural Excursiones office because the lady in there was lovely and let us pay in USD with an incredible exchange rate. However, if you want to pay on card then book with the Refugio Otto Meiling office. They do charge 10% extra, however. 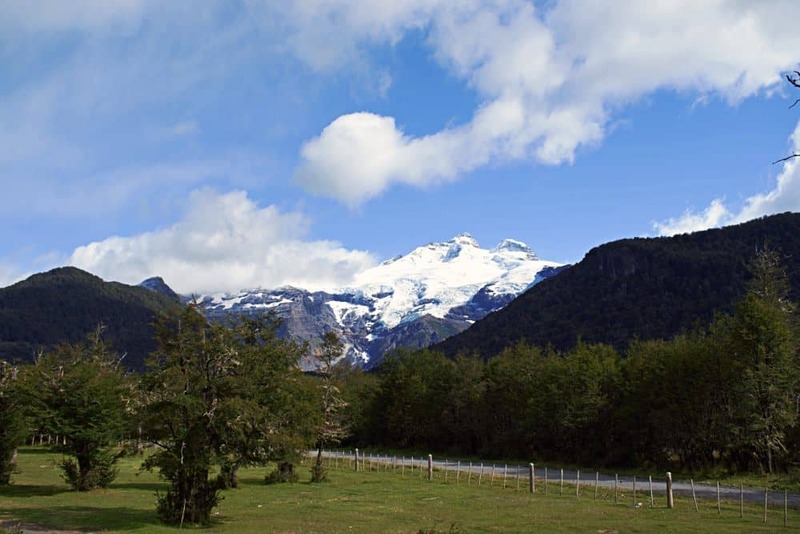 The buses leave Bariloche at 8:30 in the morning and return from Pampa Linda at 17:30 in the afternoon. They go from outside the Transitando lo Natural Excursiones office. 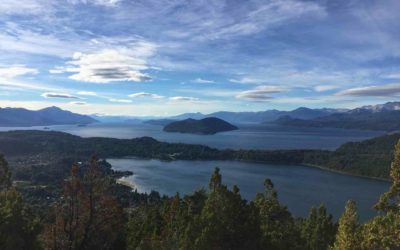 The route starts off along the fabled Ruta 40 where you’re treated to spectacular views over lakes and mountains. 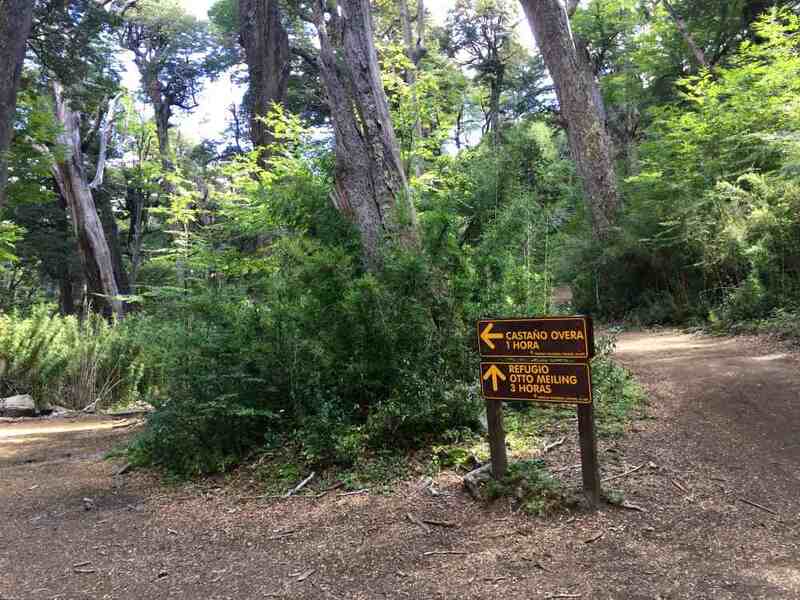 But after 45 minutes you take a right into the Nahuel Huapi National Park. At the gates to the park a ranger gets on to sell you your tickets. They cost $350ARS (£6.50GBP, $8.50USD) each and you must pay in cash, so have some ready. From here on in the road through the park is a winding, bumpy dirt track. So prepare for your bones to shake and your teeth to chatter. Because of this we wouldn’t recommend driving unless you already have the car. And even then think twice before taking the decision. It really is a poor road and certainly not one I would want to drive. From the park entrance it’s roughly another two hours until you reach Pampa Linda making a total journey time of just under 3 hours. Once you arrive you’ll find a complex made up of a campground, a hostel and the park’s tourism office. You can buy food and drinks at the hostel and they have decent toilets you can use for $10ARS. The hike to Refugio Meiling is absolutely spectacular. It gets slightly tricky in some sections towards the top but generally it’s not too taxing. And you don’t need to be super fit to complete it. 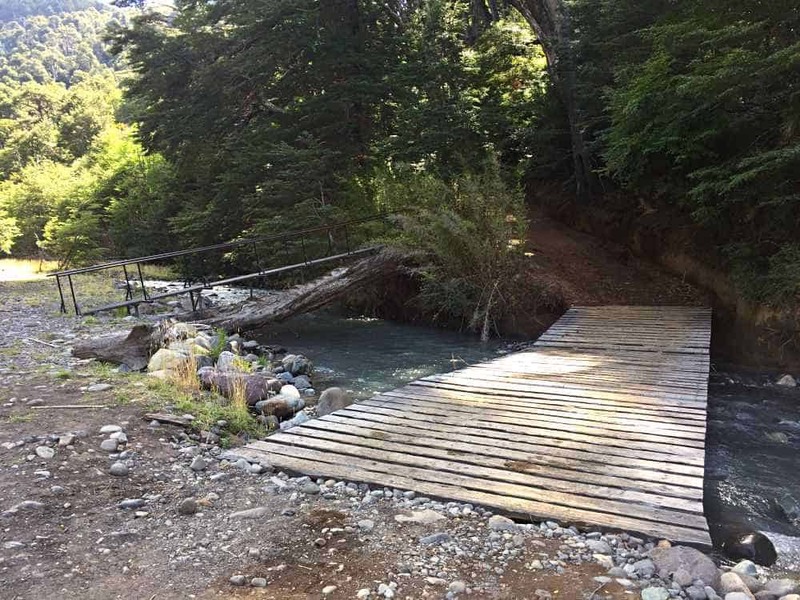 Prior to undertaking any trekking activity in the Nahuel Huapi National Park you need to complete an online registration document. This has to be filled in no more than 48 hours before you’re intending to trek. If you forget do this, you can do it in person at the park’s tourism office in Pampa Linda. And you should check in with them anyhow to check if there any specific weather conditions etc that you need to know. 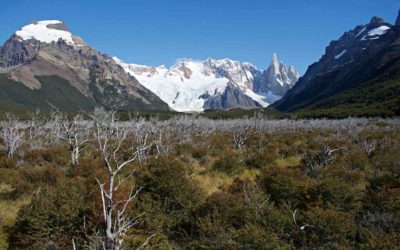 Patagonia’s weather is famously changeable, and when it decides to get serious you’re in for heavy snowfall and biting winds. Because of this, forecasts for the region are often subject to last minute revisions. 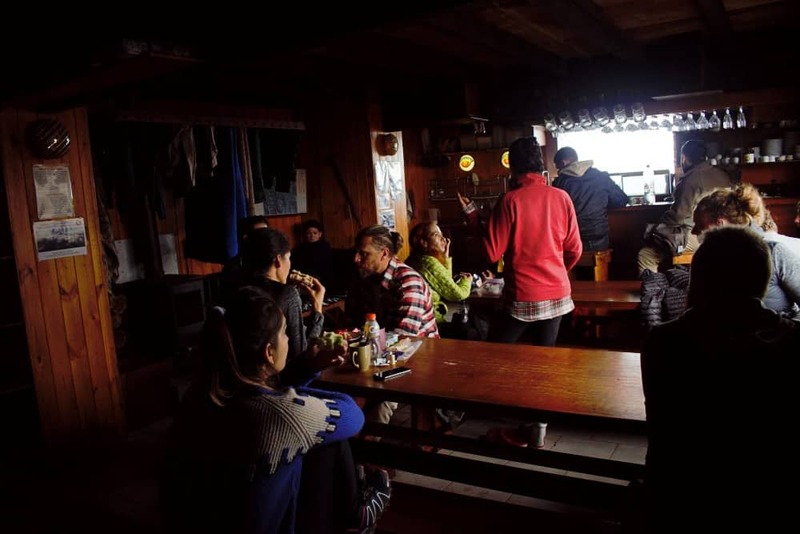 We hiked the route in mid March and when we reached Refugio Otto Meiling we entered into a full on snow storm. Our visibility having been severely reduced due to the cloud. Hikers behind us caught some rain. A few hours later and it was all blue skies. The first 45 minutes or so is relatively flat as you wander out of Pampa Linda towards the mountains. It’s a pretty, if unspectacular jaunt along a rocky road with trees either side. If you want some walking sticks, now’s a good time to grab some. There are lots of bamboo trees about and a couple of branches make a great walking aid. 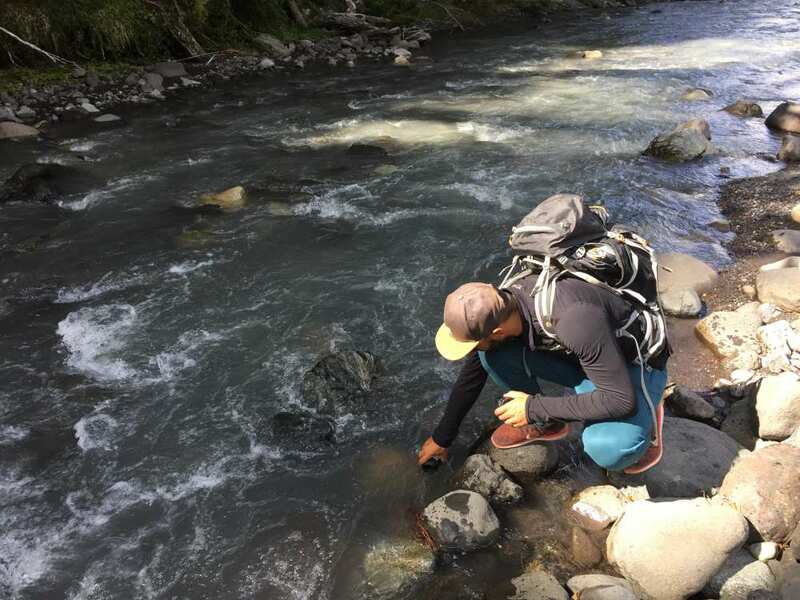 Within an hour you arrive at the fast flowing Castaño Overo river. The water is a cloudy grey colour as it contains a fine silt created by glacial erosion of the bedrock. Because of its off-white hue, this glacier water is nicknamed “glacial milk”. It’s rumoured to be a magical elixir packed full of minerals that boost your health and help you live longer. Personally I wouldn’t drink it without my filter water bottle but plenty of people do. At the river you’ll find a pair of bridges, one for vehicles and horses, the other for people. Once you cross you’re into the trek proper and your ascent up the mountain begins. This section is heavily wooded predominantly with native coihues, lengas and ñires, meaning you can’t see a great deal. The main path meanders its way uphill in long, sweeping arches that curve back on themselves. But there are a number of little shortcuts you can take which cut long swathes of the main path out. 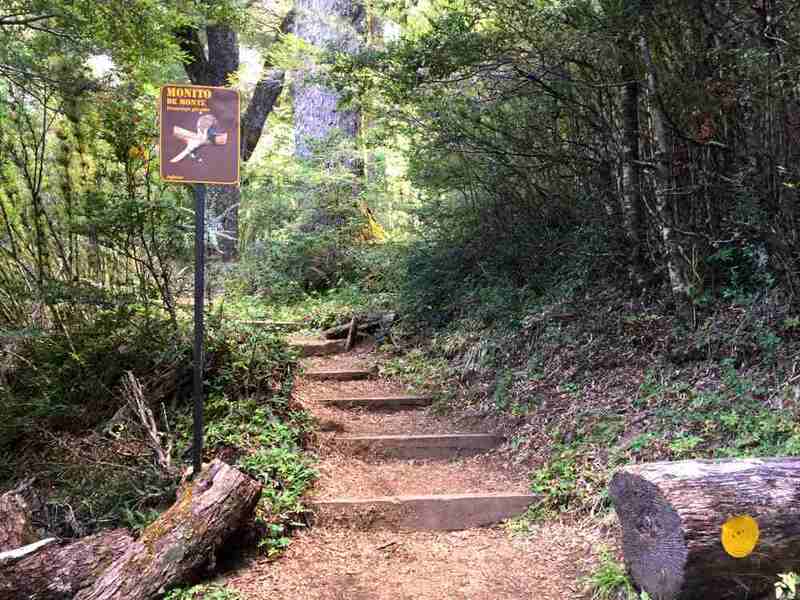 These shortcuts are marked by signs depicting examples of some of the animals found in the area. While they’re marginally steeper than the main path they cut out a fair chunk of this portion of the trek. You’ll come to an intersection where the path splits off in two directions. To the right it leads to Refugio Agostino Rocca via the Paso de las Nubes. 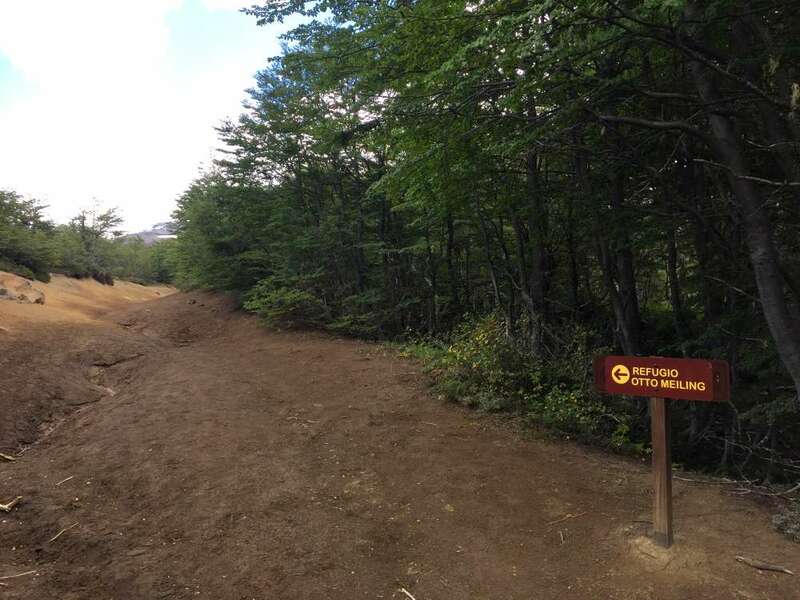 But you’ll want to take the opposite path to the left that isn’t signed but heads to Refugio Otto Meiling. After a couple more shortcuts you’ll come to another split off that leads to a viewpoint for Glacier Castaño Overo. It’s not worth taking this detour as you get a similar and superior view of the glacier as you continue on the path to Refugio Otto Meiling. From here the sign says you’ve got 3 hours left. There are a couple of sweeping switchbacks where you’ll start to see the glacier poking its head through the trees. On this section you’ll also find a hosepipe advertising itself as the last place to get water before the top. It’s not a lie so do fill up if you need to. There is tap water available at Refugio Otto Meiling free of charge. Although they ask us to be careful with our usage because due to the freezing temperatures they’d had to switch to their emergency tank while we were there. The next portion takes you quite steeply skywards through a heavily wooded expanse with the route marked by yellow disks. It’s muddy, slippy, and did I mention steep? Don’t be ashamed if you need to take a few breaks to catch your breath on this part as it ain’t easy. Eventually you’ll arrive at a flat junction with a slight clearing in front of you. Turn left and you’ll notice the trees and greenery starting to thin. What was a mass of densely packed giant trees dwindles to headheight brush before shrinking to ankle length greenery. Once you’ve cleared the treeline you’re onto the final ascent. The last bit of the trek to Refugio Otto Meiling is an uphill scramble over large rocks and loose stones. The path follows a series of white dots painted onto rocks. Without the trees you’re treated to panoramic views of the surrounding mountains. 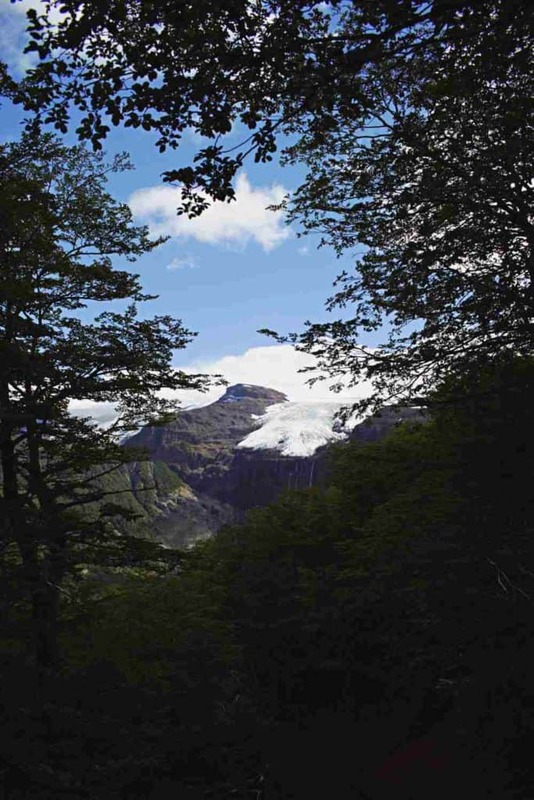 You’ll also get fleeting glimpses of Glacier Castaño Overo spilling over the mountain’s edge. Although it’s nothing compared to the views of the glaciers when you get to the top. It took us around 4 hours in total to climb up from Pampa Linda to Refugio Otto Meiling. The way down is quicker, we made it back down in 3 hours. 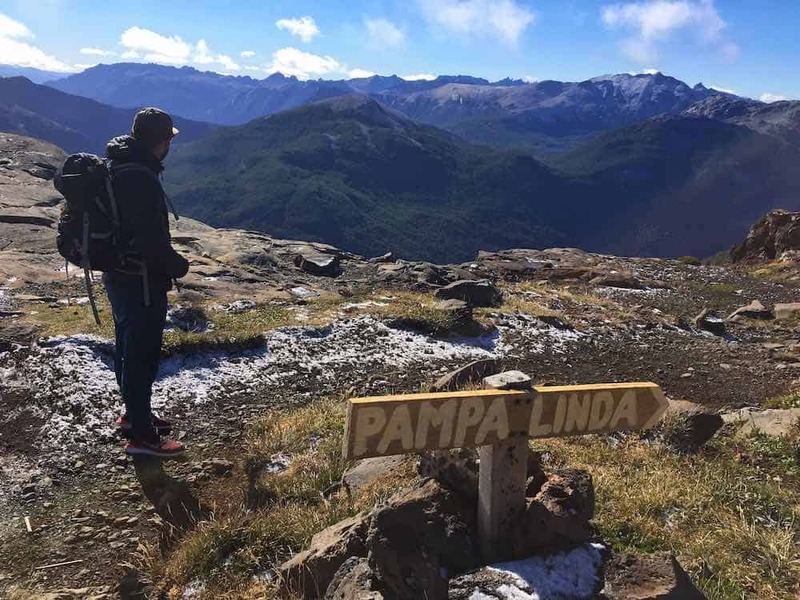 Because the buses don’t leave until 17:30 in the afternoon to bring you back from Pampa Linda to Bariloche, you’ll have plenty of time on the day you trek back down. We spent a couple more hours exploring the glacier viewpoints. Then went back into Refugio Otto Meiling for a hot chocolate to warm up. Walked down and still had time for a beer at the hostel in Pampa Linda. 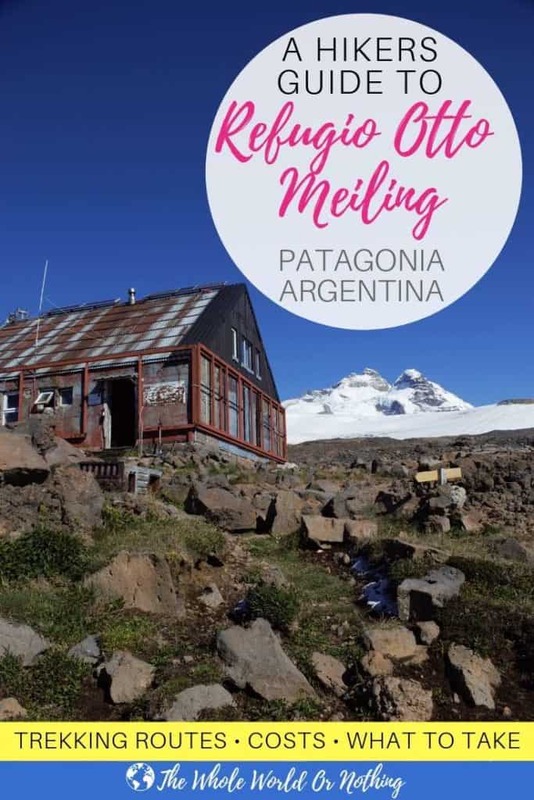 You don’t need to book ahead to stay at Refugio Otto Meiling and they don’t actually take bookings for accommodation. There’s space for 60 sleepers inside so there aren’t issues with space. There are also camping spots outside for any brave adventurers. 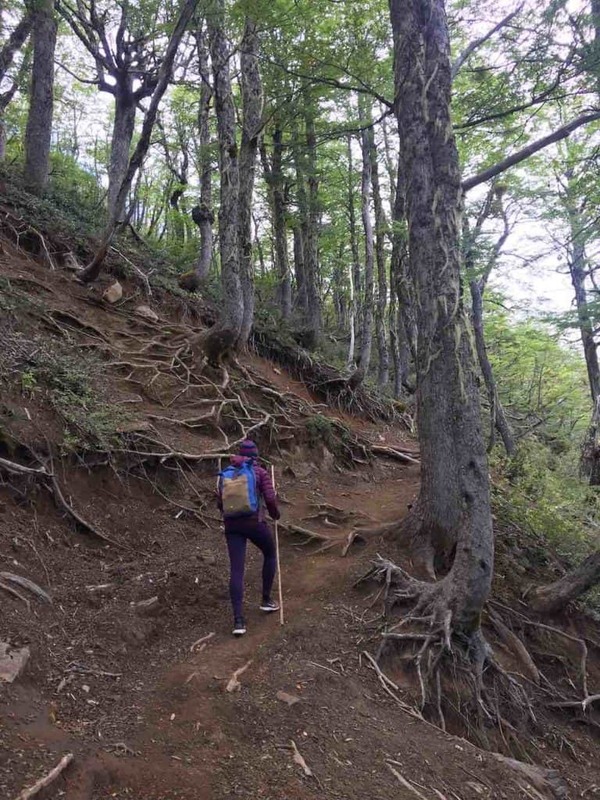 If you want to do this and don’t have camping equipment with you, there are plenty of places in Bariloche that you can hire them from. 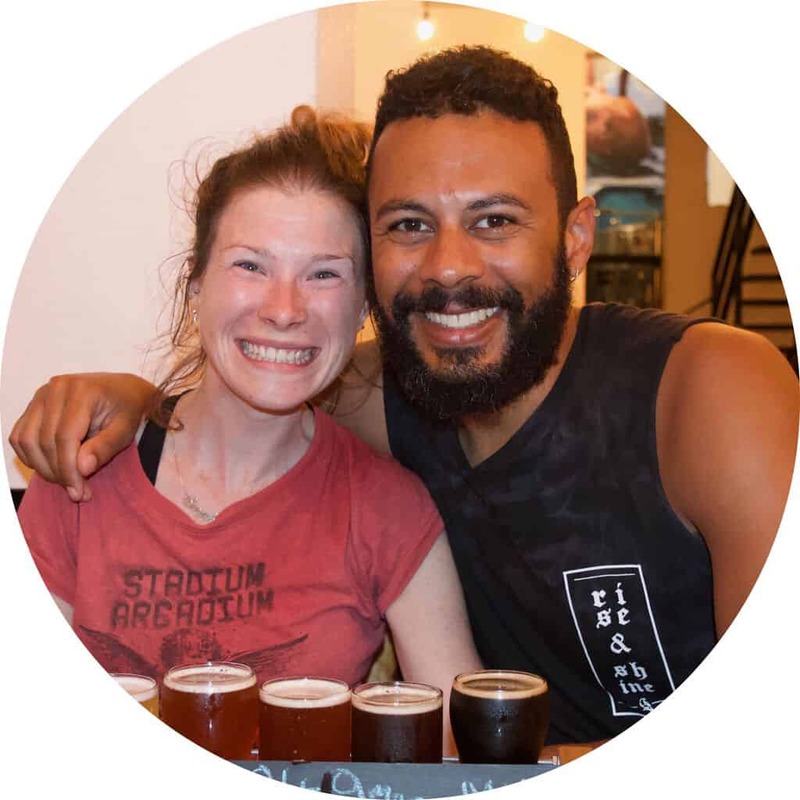 Dorm beds are $900ARS (£16.50GBP, $22USD), or camping is $300ARS (£5.50GBP, $7.30USD), per person per night (2019). Refugio Otto Meiling is pretty basic but it’s comfortable enough. Downstairs there’s a large dining/common area with long benches and tables. There are a couple of sofas and it’s got a log burner that keeps it nice and toasty. Above the fire there’s also a clothes rack hanging from the ceiling for any clothes that may need drying out. At the far end of the room is a large kitchen, separated from the main area by a breakfast bar. Upstairs is the sleeping quarters which is also just one large room. There are mattresses around the edge and a big stack of spare ones at one end. 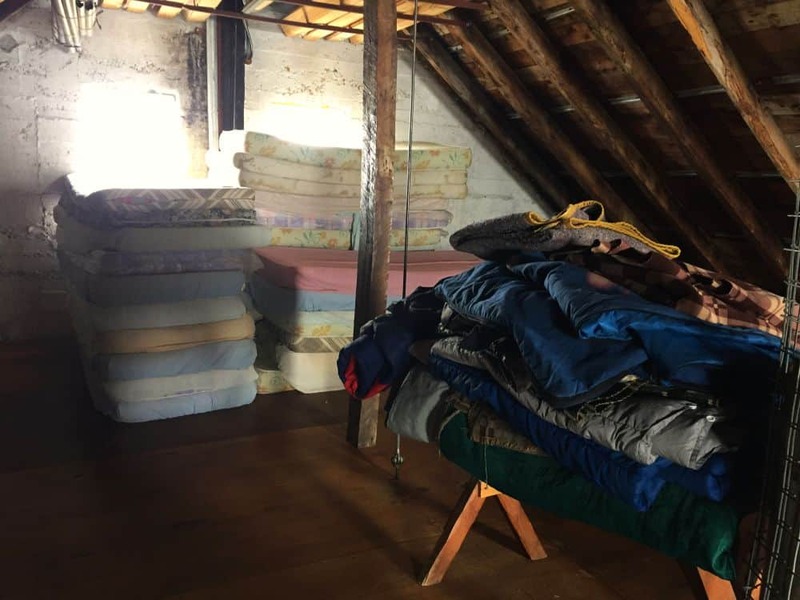 While you can hire sleeping bags they also have quite a few bags and blankets available for free. There aren’t any pillows though so go armed with a travel one or be prepared to get creative. 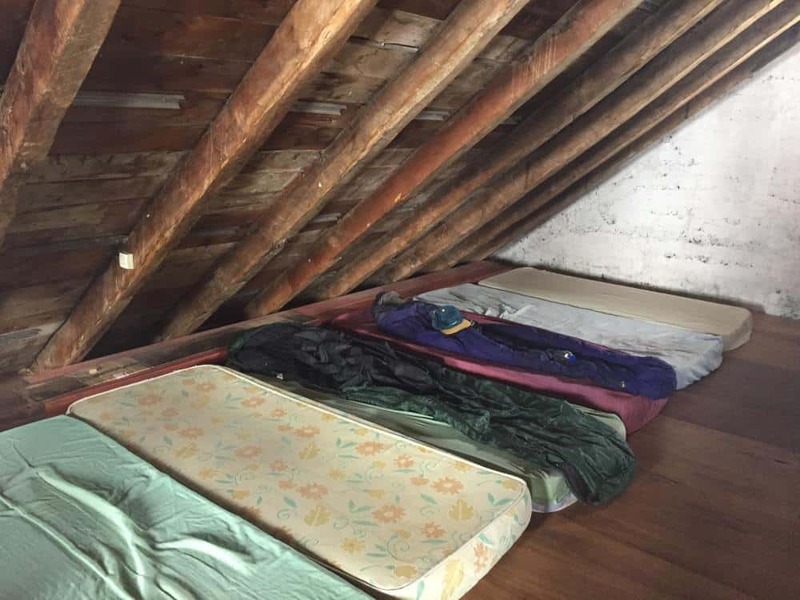 The mattresses are lined up immediately next to one another and laid directly on the floor. Inevitably you get pretty up close and personal with your neighbours. Despite the chimney from the wood burner going through the centre of the room, it gets pretty chilly at night. We slept fully clothed – coats, hats and all – and were still a bit cold. The kitchen’s well equipped and for a fee of $300ARSpp (£5.50GBP, $7.30USD), you can use it to make your own food. If you don’t take your own stuff or can’t be bothered to cook, there’s a full menu available. The guys that work at Refugio Otto Meiling rustle up breakfast, lunch, plus a three course evening meal every day. There are also various other snacks and drinks available, from cake and coffee to bottles of wine and beer. To give you an idea of the prices (2019), breakfast costs $350ARS (£6.50GBP, $8.50USD). Lunch is $300-500ARS (£5.50-9GBP, $7.30-12USD). The main course of the evening meal costs between $500-700ARS (£9-13GBP, $12-17USD). A bottle of wine is $400ARS (£7.40GBP, $9.80USD). A can of beer will set you back $150ARS (£2.75GBP, $3.65USD). You can check the full price list here. We prepared and took our own food with us so can’t speak to the quality but it looked good and a couple we met there who ate it said it was great. But don’t expect haute cuisine – you’re 2000 metres up a mountain. We also lugged a bottle of wine up which was well worth the extra weight in the backpack. You can use the odd glass and piece cutlery from the kitchen without having to pay to use the kitchen, just be sure to ask first. Bear in mind that you must take your non-organic trash back down with you. So empty wrappers, bottles, tins etc. all need to go back in your backpack. Best to take an empty plastic bag up with you to stop them soiling your backpack. Be aware that the toilets are virtually in the entryway so you don’t get the most amount of privacy. You also need to take your own toilet paper as this isn’t provided. There are plug sockets in the main room above the sofa that’s next to the fire. You’re only allowed to plug phones and cameras in, although I’m not sure what else you’d want to be charging. The glaciers either side of Refugio Otto Meiling are the number one reason to make the trek up there. And just looking at them them more than worth it. However, if you’re feeling adventurous then there are numerous other guided activities you can book from the refugio. There’s an entire book full of exciting excursions to choose from. 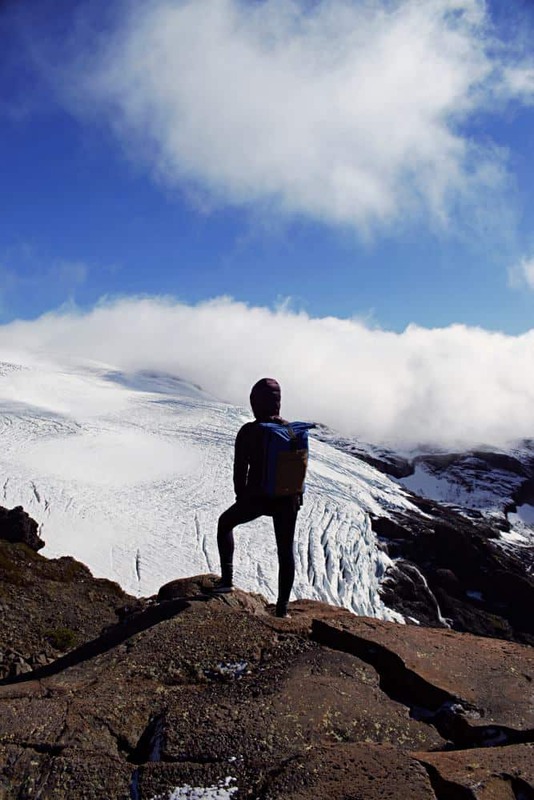 They range from trekking across Alerce Glacier to a guided ascent to the peak of Mount Tronador. The guides are on hand to chat to if you require more info but it’s better to book in advance. Head to their website to secure a spot or shoot them an email with any questions you may have. You can also book directly with the Refugio Otto Meiling office mentioned above in the transport section. Here you can pay on card if you prefer, although again you’ll be charged 10% extra to do so. It probably works out better this way if you’re booking excursions and bus tickets together. Prices start at $5,000ARS (£92.50GBP, $122USD) and go right up to $21,000ARS (£388GBP, $513USD) depending on the excursion and how many people book on. It’s always cheaper with two or more people so try and rope someone else into joining you if possible. 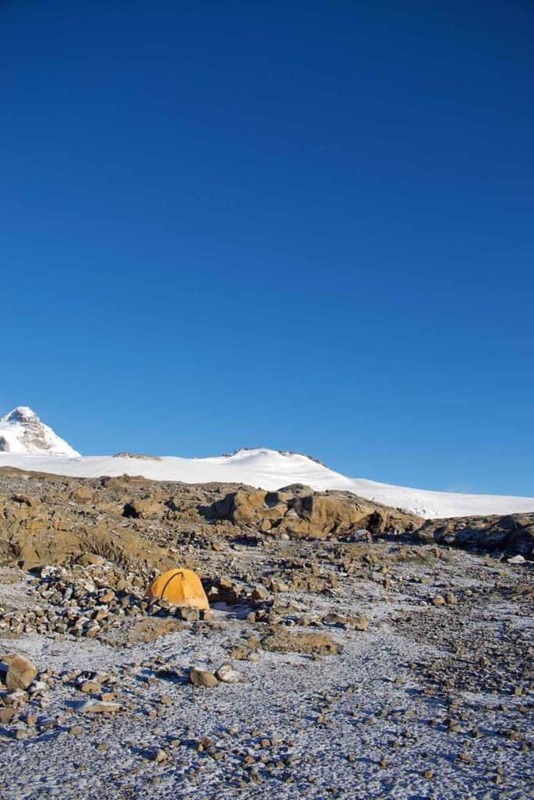 Costs include all the necessary technical equipment you would need, such as crampons, ice axes, harnesses, and ropes. 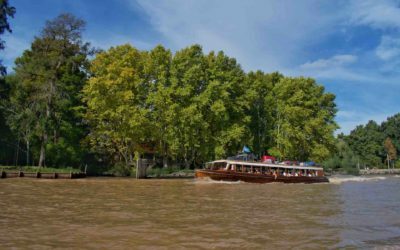 It’s worth mentioning that the prices here are far cheaper than we’ve seen for similar excursions in more popular tourist destinations in Argentina. We didn’t know about the tours beforehand but would definitely have considered the glacier trekking if we had. We watched some of the guys we met on the way up set off across the glacier in the morning and seeing their silhouettes disappear into the distance across the white surface of the glacier looked epic. They trekked over to the next Refugio and stayed there for the night before heading back to Bariloche via boat. As I say, we didn’t do this, we’re just sharing it as a possibility. If you email the Otto Meiling guides or go into the Otto Meiling Office in Bariloche they’ll give you the information you need. 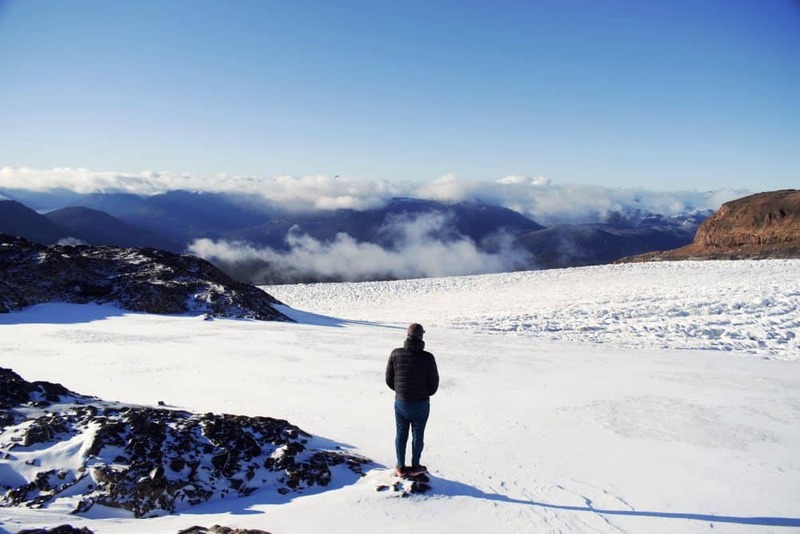 You can’t go onto the glaciers without a specialised guide. And you should never follow footprints onto the snow by yourself. It can be incredibly dangerous. 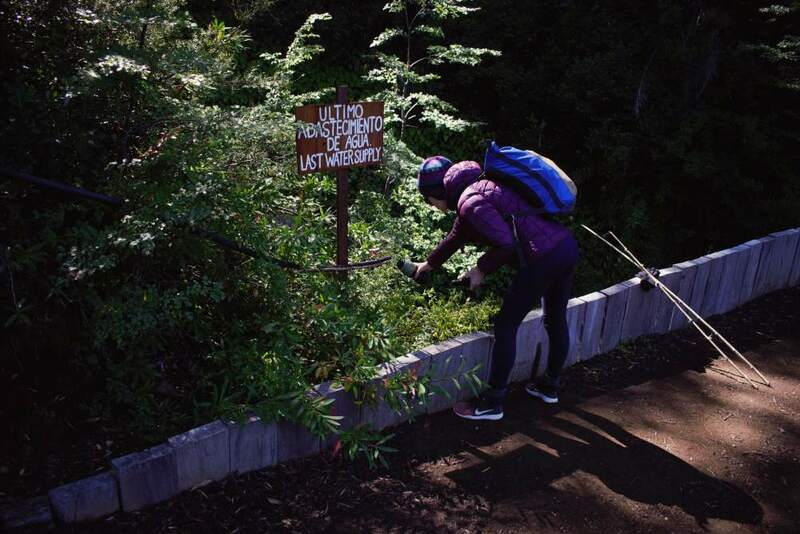 The warnings say that at best you could be following an experienced guide and at worst…well you don’t want to know. 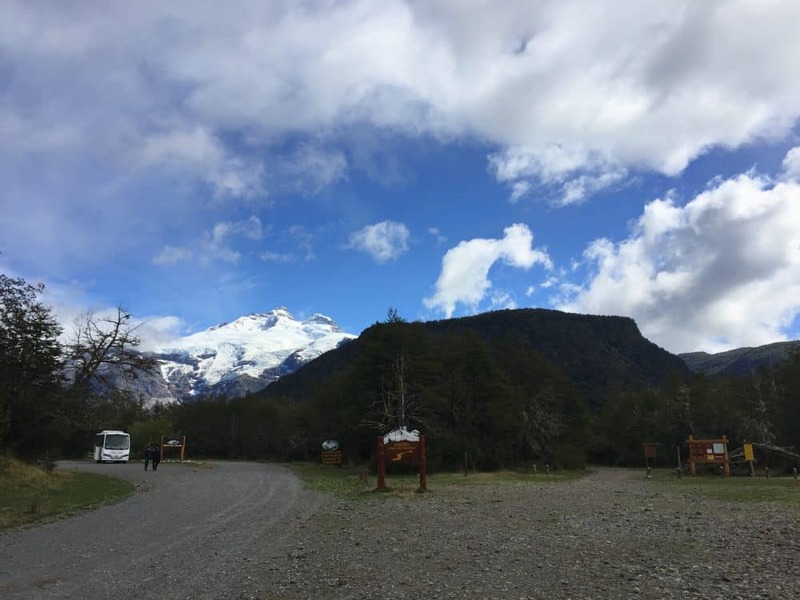 All of the guides are certified by the Argentine Mountain Guides Association as well as the National Parks Administration.